Germany offers foreign jobseekers attractive residence titles for the admission of an employment, which must be appropriate to your study and your qualification. You can apply for a German residence permit for 18 months to find a job in Germany corresponding to your qualification. During these 18 months, you may undertake any kind of activity in Germany to secure your livelihood and to finance your job search. If you have already found a job in Germany corresponding to your qualification before completing your studies, you can skip this step. You can apply for residence permit in Germany as soon as you pass your final university examinations. Since the issue of the final certificate of the university can take a certain time, please ask for a written letter from the university that you have already successfully completed your studies in Germany. Normally your faculty will provide you the corresponding confirmation with the official stamp from the German university. As soon as you have a job offer that corresponds to your qualification, you can choose whether to apply for a residence permit or a "Blue Card EU" for your further stay. The two residence permits are linked to different requirements. Depending on how your future planning looks, the residence permit or the "Blue Card EU" can offer you some advantages and disadvantages. In particular, if you intend to work and live in another EU country later, the "Blue Card EU" can offer you advantages over the residence permit. Since the selection of the residence permit is determined by your personal situation, you should consult with your foreigners' authority in Germany (Ausländerbehörde) when submitting your application for German residence permit. As a foreigner, you will need appropriate and sufficient health insurance coverage as proof of a secure livelihood when visiting the German embassy or Ausländerbehörde about your visa. The health insurance policy from any German statutory health insurance company (GKV) is sufficient, but often more expensive or impossible if you are still abroad. On the other hand, privately insured foreigners can often count on lower insurance prices and thus save money, but must pay close attention to the nature and extent of their private health insurance. A few minutes after the Online Application for your health insurance you will receive by email your insurance documents as PDF Files. These documents are needed for your doctor's appointment, but also for the presentation at embassies, consulates and foreign authorities. All the tariffs on our website meet the requirements for German visa application. Please keep in mind that you should take out the insurance for a sufficient period of time. In case of a renewal or extension in some cases an extension might be refused. But on the other side you are always able to terminate the insurance also earlier under the conditions described on our website, so we recommend you to apply already now for the longest thinkable time period (max. possible: 2 years) and later eventually cancel earlier. With this tariff, you are automatically insured not only in Germany and Austria, but in all countries of the EU and the Schengen area as well as in Switzerland and Liechtenstein. 1. Can you please let me know what kind of Travel Insurance I should apply? 2. What is the Total cost of the Insurance? Do I need to pay all at once for 6 months or is it possible to pay every month? You can pay monthly or at one. Please consider to take out the insurance for a sufficient period of time, because any extension of the insurance bears the danger that pre-existing conditions at the beginning of every follow-up insurance period will be excluded. 3. If I want to cancel, what is the procedure and will I get a total refund in case of visa rejection for Germany? Yes, Please submit a request for a refund of your insurance premiums. You will receive a refund of your premium, less a service fee of 5 Euro, usually within 4 - 6 weeks. 4. I am new in Germany with a Job search Visa (currently not employed). And looking for a Health Insurance Plan, which I can also show to German Embassy while applying for the Visa Extension (Work Permit Visa). Please recommend me a Health Insurance Plan for me which is also acceptable by German Embassy or German Government while issuing Visa to me. Looking forward to your quick response. For Job search foreign visitors in Germany we recommend this private travel health insurance plan for an intended stay of maximum 2 years (from 30 Euro / month).. In our experience this plan is also acceptable by the German Embassy and you should not have any problems for visa issue or visa extension. With this insurance tariff, you are automatically insured not only in Germany and Austria but in all countries of the EU and the Schengen area as well as in Switzerland and Liechtenstein. We recommend selecting the longest conceivable amount of time for your policy, as the insurer can deny a future extension. 5. How much is the German residence permit or the EU Blue Card? 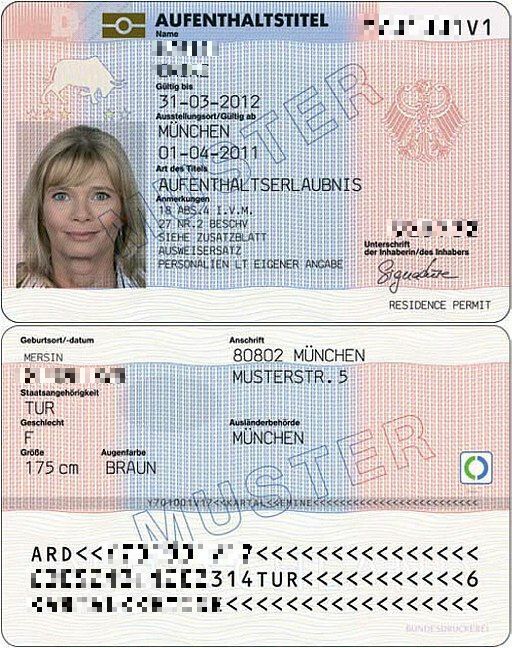 The granting of a residence permit for Germany or Blue Card EU costs between 100 and 110 euros depending on the period of validity. And the extension of a residence permit for Germany or Blue Card EU costs between 65 and 80 euros depending on the period of validity. 6. Which are the most popular cities when applying for a residence or work permit for Germany? 7. I will do a part time job in Germany while having a German job search visa. Am I eligible to have this private health insurance for Germany and does this insurance covers the "gesetzliche Krankenversicherung" (the statutory health insurance in Germany)? But this a private insurance, not a German “gesetzliche Krankenversicherung”. 8. I would like to apply for a health insurance for job seeker for 6 months. I case I have got a job within the first 2-3 months, can I cancel the rest of the insurance period? Yes, you can cancel anytime by visiting the menu "Service" on our homepage and then clicking the link "Online Service Survey". Insurance documents: A few minutes after the Online Registration you will receive by email your insurance documents as PDF Files. These documents are needed for your doctor's appointment, but also for the presentation at embassies, consulates and foreign authorities. Print and use them for your next doctor's visit, for Visa Application or Extension. Duration of the insurance: Please keep in mind that you should take out the insurance for a sufficient period of time. In case of a renewal or extension in some cases, an extension might be refused. Coverage in EU and Schengen: With this tariff, you are automatically insured not only in Germany and Austria but in all countries of the EU and the Schengen area as well as in Switzerland and Liechtenstein.